Are you going on vacation and are trying to think of all the things you need to pack to keep your teeth healthy? Use this dental hygiene travel checklist to make sure you get everything packed that you need. A toothbrush holder is an inexpensive accessory that you can use over and over again. It is a safe and hygienic way to store your toothbrush while you are traveling so that it doesn't encounter other germs when contacting the other items in your bag. You can even buy an extra toothbrush and keep it in your travel holder at all times so that you never forget it. Your local pharmacy will likely sell miniature, travel-sized containers of toothpaste, floss, and mouthwash. You'll be able to have the dental hygiene items that you need without taking up a lot of space in your suitcase. Plus, these small sizes - under 3 ounces - will be carry-on approved if you are flying. When traveling with toothpaste and mouthwash, it is always a good idea to have a Ziploc bag or two with you. Think of what will happen if either of these two things explodes in your bag. That'd be an unfortunate start to your trip, so prevent a potential problem by sealing these things off in a plastic bag. Wax is a great item to have on hand for dental emergencies. People with braces often rely on wax in order to deal with irritation, but other uses are also available. If you chip a tooth, you can place wax over the jagged edge to prevent injury to your mouth until you are able to visit with your dentist. 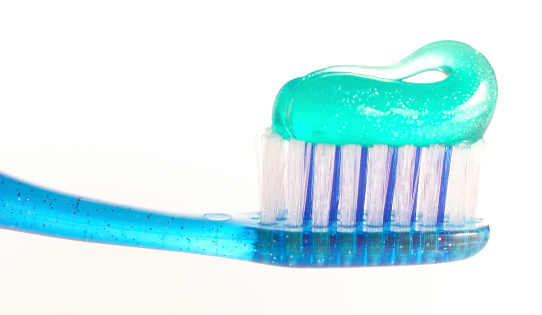 If you don't have access to a toothbrush, you'll still need to keep your mouth clean and fresh, and sugar-free gum can help you to do this if you aren't able to fully brush your teeth. Please contact us if you have any questions about your dental hygiene.